Cowboys at the turn of the century had a very special feeling about God, and they still do today. They understand the vastness of nature and the elements they encounter daily. Faced with long trails, lonely nights, sick cattle, and bad weather, they have no problem realizing their smallness in the Lord's creation and their total dependence on His guiding hand. 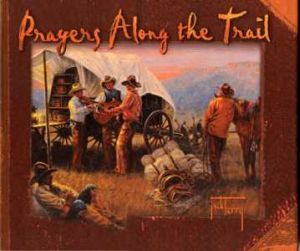 Listen to these heartfelt prayers along the trail and experience the simplicity of a cowboy's talk with God.